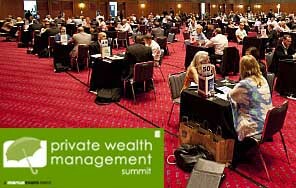 A marcus evans case study with a venture capital firm at two recent marcus evans Private Wealth Management Summits. What was the primary reason of your participation? Our initial goal when we signed up for the Summits was to simply develop some relationships with the family office community in the US and get on their radar. We were also hoping to get a few limited partners (LPs) interested in the fund we were raising at the time. We did not expect on gaining LPs out of our first couple of Summits, but we were fortunate that it did happen. So this it was a good return on our investment. What business opportunities did the marcus evans Summits bring to your organization? We were successful in the sense that out of the two Summits that we attended last year, we recruited two new LPs. These deals were made possible by the relationships that were engaged at the Summits and of course, we followed up afterwards. About 3 months after each Summit we were able to get to the due diligence stage and get a final commitment. We raised about USD 2 million from the two LPs last year. We are hopeful that these LPs will become repeat LPs, so we have developed and kept a good working relationship with them. The Summits also gave us an insight on what matters to family office LPs as opposed to some other LPs we have had in the past. Could you have met these investors otherwise? Absolutely not. We had no prior knowledge of the family office community in the US. Our fund is based in Silicon Valley and the LPs we signed are located elsewhere in the country. Family Office executives are hard to reach, except if we meet them in one place, so the marcus evans Summits enabled us to short circuit the selling cycle. The fact that that there are some pre-qualifications for the people that we are going to meet helped us a great deal, otherwise it would have been a much longer process. What do you think of the Summit's format? We think it is the most efficient way to meet potential clients. We were impressed with the quality of the logistics, being able to meet 25 different LP candidates in a couple of days can only be done if there is excellent planning ahead of time, well manages pre-qualifications and good IT support, so it worked out very well. Are you now interested in attending any of our global investors Summits? Yes, we are considering that for 2016. We are now raising another fund and we would like to expand our LP base to include some international investors. The Private Wealth Management Summit Fall 2015 is taking place from 9-11 September 2015 at the Red Rock, Resort, Spa in Las Vegas, NV.